This study guide will provide a better understanding of the themes, issues, characters and important quotes with 10 sample comparative response essays (Reading & Comparing). 10 Sample Comparative Response Essays. The SSRC book cover may be different to the book available for purchase. 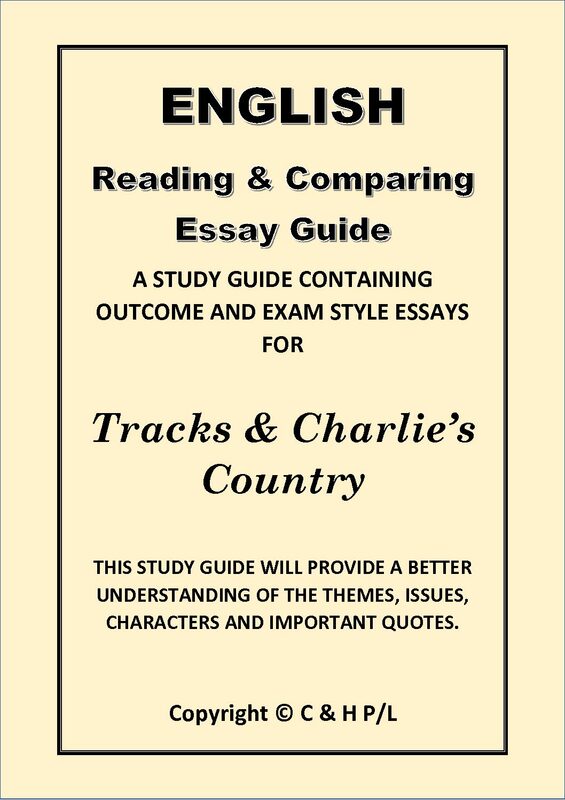 This study guide provides a better understanding of the themes, issues, characters and important quotes with 10 sample comparative response essays (Reading & Comparing). This book contains: A List of Important Quotes An Analysis of Characters The Themes Comparative Notes 10 Essay Samples. The SSRC book cover may be different to the book available for purchase. This series has been created to assist students of English in their understanding of set texts. Top Notes are easy to read, providing analysis of issues and discussion of important ideas contained in the texts. Written by experienced teachers and writers, Insight Comparisons are invaluable resources for Area of Study 1: Reading and comparing texts in the current VCE English Study Design. Each title provides a comprehensive guide to a pair of texts, including a detailed study of each text's key features and a close analysis of their shared ideas, issues and themes.